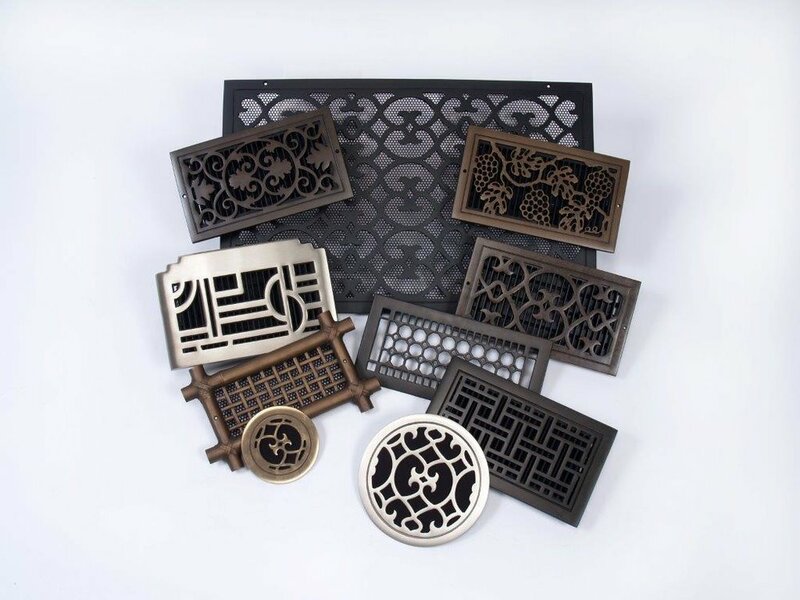 Select your base material--bronze, aluminum, or resin. It is helpful in this selection process to remember that some designs are available in only one base material. Also, resin grills are to be installed in walls and ceilings only. Select your finish--patina, primer, paint, antique burnished, or bare. Congratulations! We hope the only pain involved was choosing between different grills that you really like. Now that you have made your creative decisions, it is time to measure the dimensions of your drywall opening. Click HERE for measuring instructions and tips.